Boston Mayor Marty Walsh is very proud of his city. Tonight he called on all other cities to follow Boston’s lead. He spoke before a packed house at Symphony Hall for the annual State of the City Address. 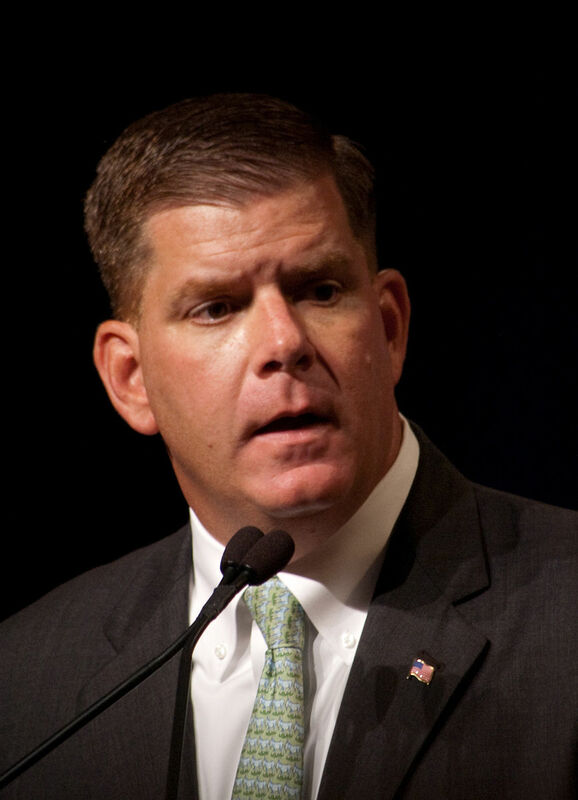 Mayor Walsh strengthened his commitment towards economic opportunity for all by creating Boston’s Economic Development Center to offer new services. These services will launch workshops to focus on equity, job growth and community development. “Through programs like the Economic Development Center, we are building Boston’s middle class and ensuring we are a city where all can achieve and thrive,” Mayor Walsh said. The goal is to create equity and inclusion to create a network of individuals and businesses for jobs and opportunities. Pathways will help contracting with the city, OSHA, training, certification and matchmaking events for minority and Women-owned Business Enterprises including small businesses. Walsh is submitting a 14-bill housing security and economic mobility package to the Massachusetts legislature. Meanwhile he and Governor Charlie Baker will be joining forces to go soon to Congress to promote their bipartisan plans.